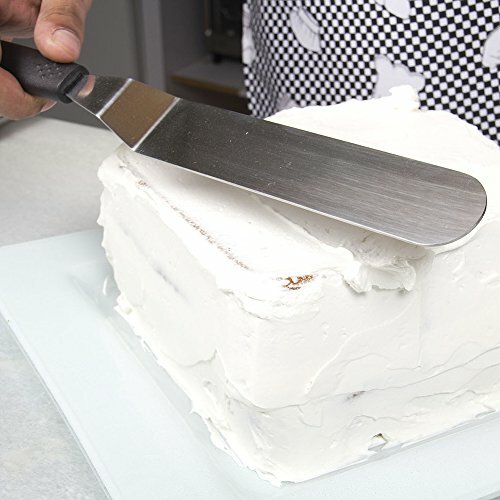 The TOPENCA SUPPLIES Angled Icing Spatula makes it so much easier to apply a smooth frosting to the sides and top of a cake. Not to mention spread an even layer of filling. The Long Blade with its rounded end ensures maximum control. DELIGHT FAMILY AND FRIENDS with commercial-quality frosted desserts. 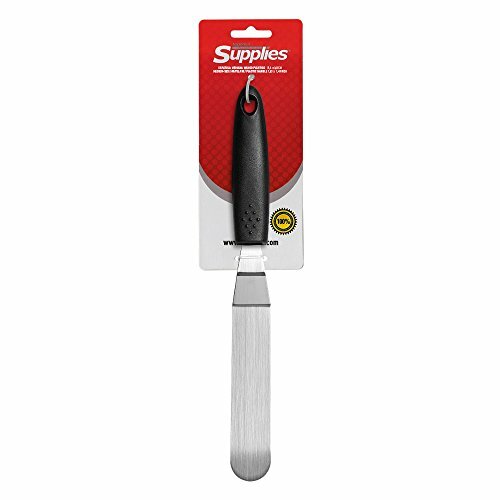 The Topenca Offset Spatula is responds with light pressure to spread icing and batter evenly and transfer baked goods with ease. NON-CORROSIVE STAINLESS STEEL blade is rustproof, odor- and stain-resistant. The Topenca Angled Spatula won't hold food colorings or after-tastes when properly cleaned in your dishwasher or by hand. FLEXIBLE BLADE with rounded tip provides exceptional control for icing cakes, smoothing batter and spreading fillings. It also ensures greater leverage for lifting cake layers or transferring cookies. ERGONOMICALLY MOLDED HANDLE is made of impact-resistant plastic to deter breakage. Raised finger nodules provide a non-slip grip for balance and control, ensuring smooth and even spread of frosting. 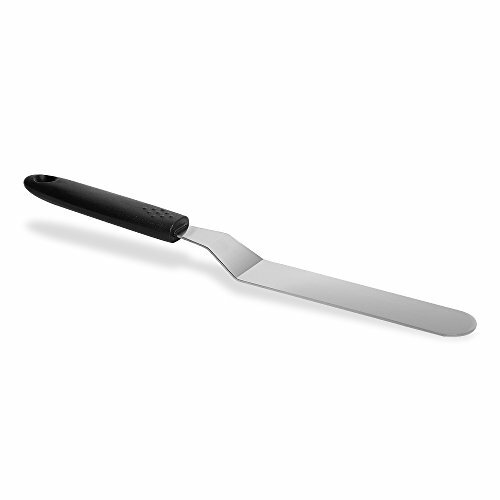 30-DAY MONEY-BACK GUARANTEE lets you try the Topenca Angled Icing Spatula risk-free. If our product does not meet your expectations, return it for 100% refund of your purchase price, no questions asked.